Login to Web Live View without entering username and password. 1. 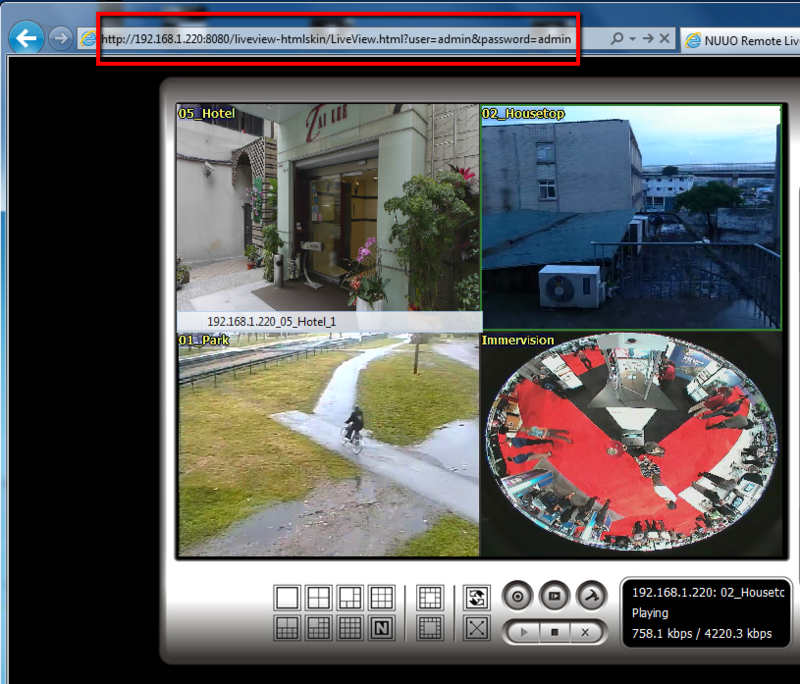 Please follow the below string format for your Live View URL. For example: My IP Address and port is <192.168.1.220:8080> and username/password is <admin/admin>. 2. Currently this solution is only available with Live View, playback is not supported yet.